Lowest priced 2 bedroom on the market. 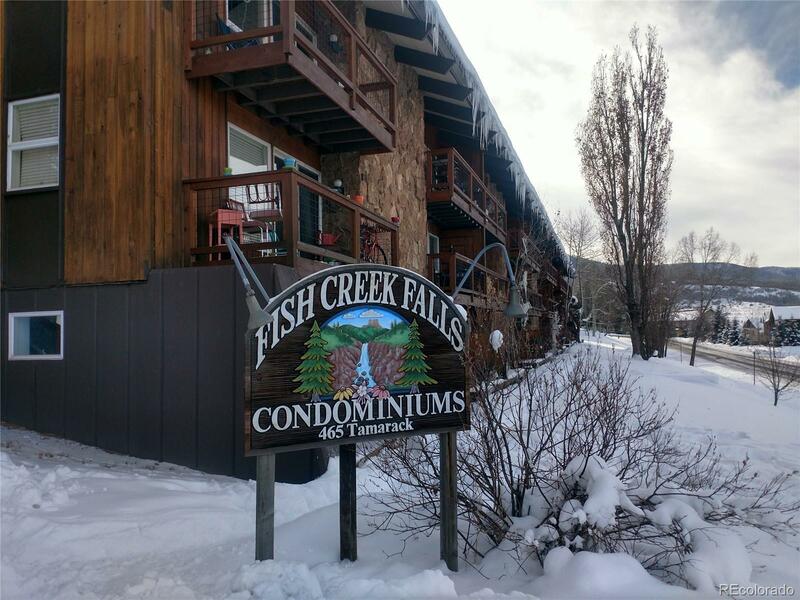 Conveniently located up Fish Creek between town and the Mountain with the free local bus stop right across the street. Recently updated with a new kitchen counter top and sink, brand new refrigerator and stove, new dishwasher installed 1 year ago, remodeled bathroom with new tiled shower, vanity, sink, toilet, and flooring. This condo does have a storage closet just a few doors down. This would be a great rental income property, a wonderful starter home, or a vacation retreat to enjoy all Steamboat has to offer.